Zinchenko is a product of the Shaktar Donetsk Youth Sportive School system, but was let go by Shaktar in 2014 to join FC Ufa of the Russian Premier League. He made his international debut against Spain in a Euro 2016 qualifier and scored his first goal against Ukraine breaking a record previously held by Andriy Shevcheko. Golovin has been with CSKA Moscow since 2012 and made his debut in the 2014/15 season. He has represented Russia at U-17 and U19 levels and made his senior debut in2015 against Belarus, replacing captain Shirokov and scoring in the 4-2 win. He has played five games and scored two goals for his national side. Swedish defender Lindelöf of Benfica only debuted for Sweden in 2016 but has been called up to represent the national side for the Euros after playing 15 league games for Benfica this season. There are rumours that he has attracted the interest of Spanish giants Barcelona and Real Madrid. Kovalenko is another product of Shaktar Donetsk but unlike Zinchenko he is still plying his trade for the Ukrainian side. After the big money sale of Alex Teixeira to China he was the chosen player to fill in the gap that was left by Teixeira. He had a successful U-20 World Cup and claimed the golden boot with five goals. He made his debut against Cyprus in March 2016 but his performances for his club have earned him a call up for Euro 2016. Most football fans will recognise the name, because of his much more successful older brother Romelu. Both were signed by Anderlecht in 2006 and have since been sold. Jordan plays for Oostende after a loan spell in 2013/14 was made permanent. He only made his Belgium debut in October 2015, in a victory against Andorra which gave them the win they needed to qualify for Euro 2016, he has made four appearances for the national team after representing Belgium at U15, U-16, U-18, U-19 and U-21 level. Linetty plays for Lech Poznan in his native country and has racked up over 100 appearances for the team at only 21 years of age. He scored on his debut for the national side 18 months ago in a 3-0 win over Norway and has since mad ten appearances. 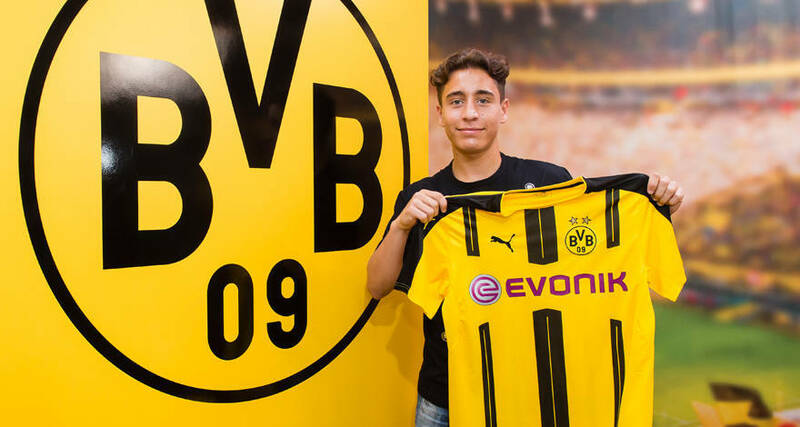 Mor was signed by Borussia Dortmund just three days before the tournament started, showing how highly he is considered in Europe. Mor represented Denamrk when he was younger at U-17, U-18 and U-19 levels before switching to Turkey at U-21 level and subsequently being called up to the senior team. He is the third youngest player at Euro 2016. Probably the most high profile name in the list up to this point Kimmich was signed at the beginning of this season by Bayern Munich for a fee reported to be €7 million. He played 23 games for the German champions, starting 15. He is similar to a number of German players in recent years in terms of his versatility, he can play in the centre of midfield or as a centre back. He has only made one appearance for Germany so far, but injuries or suspensions might give him some time in the spotlight. Tufan began his career with Bursaspor and spent ten years with them until he was signed for €7 million by Fenerbahçe. Another versatile player he can play anywhere down the right or in midfield. After making his debut for Turkey as a teenager against Ireland he has so far made 23 appearances, scoring once. Jedvaj plays for Bayer Leverkusen and over the last two seasons has made nearly 40 appearances for them, at just 20 years of age. He made his Croatia debut when he was 18 in a friendly against Cyprus and has only made two more since then, however his versatility might help Croatia during the tournament, he has played as a full back on either side of the defence as well as his favoured position, centre back. He was voted ‘Croatian Hope of the Year’ in 2014, previous winners include Luka Modri? and Mateo Kova?i?. Another Croatian player, ?ori? currently plays for Dinamo Zagreb and at 19 years he has already made over 60 league appearances for the side. He only made his debut for the senior national side in May 2016 but has been called up for Euro 2016. Like Jedvaj he was voted ‘Croatian Hope of the Year’ in 2015. He is being heavily linked with a move to the Premier League this summer, so if we don’t see him in France it looks likely that we will see him next year. Liverpool, Tottenham and West Ham are the three names surrounding his future at the moment. Another centre back playing for Bayer Leverkusen Tah has been called up for the tournament by the world champions after an injury to Antonio Rüdiger. He made his debut in March 2016 against Italy and at just 20 years old he looks like a name we will be seeing for years to come. After coming through Barcelona’s fabled La Masia, he wasn’t considered good enough and left to join Arsenal in 2011. It took him a while to get into the starting eleven but after a number of injuries to full backs Bellerin took his chance with both hands and has kept his spot at right back. He was the only Arsenal player to be named in the 2015/16 PFA Team of the Year. He has made three appearances for Spain but wasn’t originally in the squad to go to Euro 2016, however after an injury to Dani Carvajal he was called up to take his place as back up to Juanfran. Like Bellerin he had a transformation season after being signed by Borrussia Dortmund from 1860 Munich. He only made his debut for Germany two weeks ago against Slovakia but is a similar mould to that of Kroos, someone who can dictate the play from a deep position and pick out any pass they want. But at just twenty years of age expect him to fill in for Schweinsteiger in the next few years. It feels as though Sterling should be in his mid-twenties but he is still only 21 after making his England debut back in 2012. After a big money move to Manchester City at the beginning of the season he seemed full of confidence and was playing well until Christmas, however towards the end of the season he lost his place through injury and didn’t get much playing time. However he can still make things happen on the wing and will likely be in the starting XI for England in most games. Sane enjoyed a breakthrough campaign in 2014/15 and built on that season in 15/16 for Schalke. He has made three appearances for Germany after making his debut in November 2015 against France. He looks to be on the move this summer with heavy interest from Manchester City, and rumours of a deal nearly being completed. One of the hottest young talents in Europe Embolo will look to spearhead a Swiss team consisting of the likes of Granit Xhaka, Xherdan Shaqiri and Ricardo Rodriguez. The powerful young striker has cited Mario Balotelli as one of his icons and plays very similarly to him. In 86 appearances for Basel he has scored 30 goals. Expect a number of teams to be watching him in France and maybe a move this summer. Another Bayern player, Sanches was signed before the Euros began for an initial fee of €35 million, which could reach €80 million depending on set objectives. This made him the most expensive Portugese player to be signed from the domestic league. He has made five appearances for Portugal since his debut at the beginning of the year. His inclusion in the Euro squad makes him the youngest Portugese player to be selected for a tournament, breaking a record held by Cristiano Ronaldo. One of the biggest talents of his age, and definitely England’s most promising player since the likes of Gerrard and Lampard in midfield. Alli was one of the players of the season in the 2015/16 Premier League season after playing for MK Dons the season before in League One. His performances earned him a call-up to the England squad in October 2015, he made his debut against Lithuania and has been included in the England squad since then. He scored his first goal against France in November 2015, beating his Spurs teammate Hugo Lloris with a long range strike. He has so far made nine appearances for England and you can expect him to build on that during the tournament. A well-known name to all Premier League viewers, and one of the only highlights for an extremely dull Manchester United side last season Martial has been included in the France squad, but will have a fight on his hands to beat the likes of Antoine Griezmann and Dimitri Payet to a place in the starting XI. He has drawn comparisons to Thierry Henry and could become a similarly talismanic figure for the national team. He has made ten appearances for France, but is yet to score – could that change this summer? Kingsley Coman has had a more successful career than most footballers have by the time they retire. At just twenty years of age Coman has won Ligue 1 twice, Serie A and Bundesliga, all these trophies coming in four consecutive seasons. 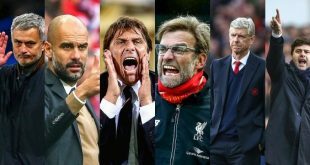 As well as Coupe de la Ligue, Coppa Italia, and DFB-Pokal. After joining Juventus on a free from PSG he spent a year with the old lady before being sent out on a two year loan to Bayern Munich for a fee of €7 million, with the option to buy for an additional €21 million. During the loan spell he famously scored against Juventus in the Champions League round of 16, effectively knocking them out of the competition. He has so far made six appearances for France scoring one goal, but like Martial there are other players who could be considered ahead of him.